Back in Gurgaon early this morning. I cannot deny it feels good to be home, but my mind still lives in Istanbul and the images will continue to play inside my head for some days to come. One post a day was insufficient to write about the myriad experiences and observations. But then if I had posted more, I wouldn’t be out there experiencing and observing, would I? And so I told myself to hold the thoughts in and keep writing once I’m back home. 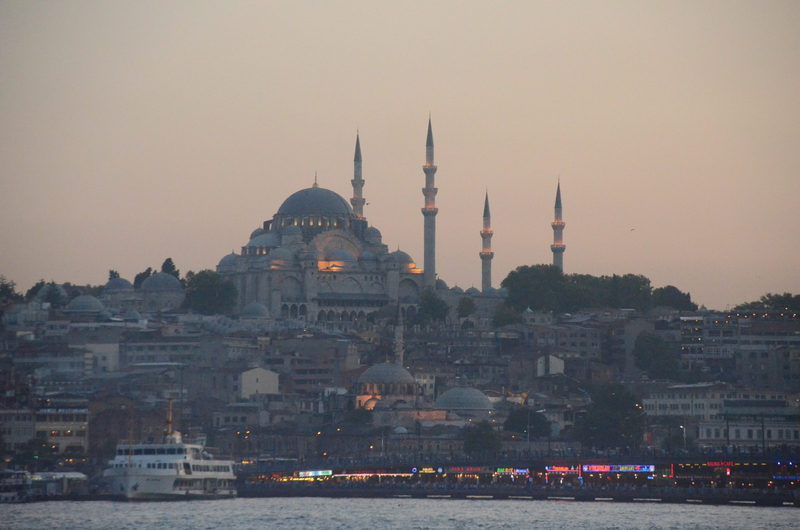 So here’s a round-up of the rules that worked well for us for our 5-day halt in Istanbul. Flexible itinerary works great: We did not pre-plan too much and we took no guided tours. Yet, we managed to see most stuff and some out of the way places, with sufficient time to spend everywhere. I hate the rush-rush tick mark style of tourism, so this suited me fine. But if you do want something more organized, the hop on hop off buses seemed the most suited to offer you flexibility while taking you everywhere. Most of the heritage monuments are within walking distance of each other, in the Sultanahmet area- Aya Sofya, Blue Mosque, Hippodrome and Obelisk, Basilican Cistern and the Topkapi Palace and museum complex. As a UNESCO World Heritage City, Istanbul ensures all the main monuments are well marked. Entry fees are not exorbitant, 25TL (TL=Turkish Lira, approx equivalent to Rs 30 as of now) for Aya Sofya and Topkapi and 10TL for most other places. Some exquisite areas like the Sultan’s Tombs and Gulhane Park are free. Best experienced on foot: Do pack sturdy walking shoes. We walked for hours everyday. The scale of the old city is perfect for exploring it on foot and public transport takes you everywhere else, mostly. Eat when hungry: Food is everywhere in this city. It’s affordable, nutritious and freshly cooked. A street side cafe cost us about 12-15 TL for a main course dish (kebabs are delicious), say under 50 TL for an entire meal for a couple minus alcohol. Chai/cold drink costs about 4 TL. Bottled water about 1 TL. I recommend the freshly squeezed orange (malta, actually) juice if you go in summer, costlier but super refreshing! Fancier places cost us about 100-200 TL for both of us, when we were drinking wine, which is expensive. The variety of street food (nuts, corn(misir), a jalebi type sweet, sesame bread (simit), etc) and food in general is delightful and I’ll pen more on that later. Use public transport, it’s hassle free: We bought an Istanbul card, which can be used on the tram, the ferry and the buses. You can keep charging it for as much as you want at a multitude of corner stores. A trip costs about 1.5-2TL, depending on the time of the day. Trams run frequently and cover most tourist landmarks. Easy to find transport till about midnight. If you’re far from your hotel for dinner, try and wind up by eleven to be on the safe side. We didn’t use taxis at all, but they’re everywhere in case you miss the trams. Ferries are highly recommended. Being out on the water with the cool wind whipping my face was a great feeling. It’s easy to carry prams and wheeled baggage on the trams, as we found out while getting to the hotel when we arrived. We used a shuttle, basically a shared car to get to the airport yesterday, which worked out to about 23TL per person. My guess is that a cab would have cost us 60TL or thereabouts. Be clear about your budget while shopping: Istanbul’s bazaars are great for shopping. Carpets and kilims can be expensive though, and the price differential is huge from one shop to another. It’s hard to tell the value for money in terms of what you get for what what you pay. It’s best to be clear about how much you are willing to spend upfront. Touting does happen, though they are not too aggressive and you can wiggle out without unpleasantness if you are firm and stand your ground. Ceramics, magnets and charms are easy buys, but feel free to haggle like you would in India! Exchange money into TL as and when needed: There are plenty of places to exchange currency in Istanbul. We found the best rates near the Grand Bazaar. You do not need a passport or ID usually to exchange money, but you do need an ID (and photo ID) if you plan to hire an audio guide. No need to carry passports around. Best to leave them in the safety deposit box in your hotel room. Totally safe: The best thing about Istanbul for me was the stress-free experience. Unlike even other European cities like Paris, Rome and Barcelona, we saw no pickpocket gangs, no pedlars of illegal wares fleeing from the police. We never felt unsafe even moving around at night on deserted streets (which were few, to be frank!). I may have left some stuff out. Do feel free to ask if there is something specific you want to know. If you plan to go to Istanbul in the near future, have loads of fun! And if you don’t, do put in on your list. It’s worth it! Posted on June 6, 2012, in Travel & Experiences and tagged advice, currency, Dont's, Dos, food, IStnabul, itinerary, shopping, sightseeing, tips, tours, transport, travelogue. Bookmark the permalink. 4 Comments. You’re write up has made me more keen to visit, The convenience of movement and safety factor is very tempting. What about accomodation? How expensive is that? We booked only a week before we left. We paid about 50K for 5 nights. But there is a wide range in terms of pricing and location. The city is on a slope, so it would be good to book a hotel in Sultanahmet, preferably in the Gulhane area. We were downhill and had a climb into town everyday. I have to thank you Mukta for helping me revisit Istanbul through your straight-out-of-heart account of the city and I so agree with you when you say ‘today Turkey holds forth as a beacon of tolerance and modernity in a world that is increasingly suspicious, divided and myopic in the way it views other cultures’. It’s fascination to see how this Islamic country has continued to be ideologically so different than its counterparts. Thanks again. I totally loved reading all of them. My pleasure totally, Rwitee. I probably ain’t done yet with the Istanbul posts. I’m afraid I might bore people now 🙂 Let’s plan to meet post 15th….all of us ‘tolerance’ types!